As everyone in the house is Fingerlings mad at the moment, I made sure I went to speak to the PR we had been working with whilst at Blog On X earlier this month. Whilst there I spotted the 'Untamed Ferocious @ Your Fingertips' range which is actually a range of super cool ferocious dinosaur fingerlings! As soon as I saw it I immediately thought of a little boy who I thought would love it. I ended up bringing home this Velociraptor called Razor. He chomps and growls and moves his head and eyes. He also reacts to your touch in certain spots on the head. Logan thought he was really cool and all of the other children were so jealous because he is so awesome. The Untamed range is a great alternative to the monkey range if your child is into less 'cute' toys. It has certainly been a huge hit in our house. 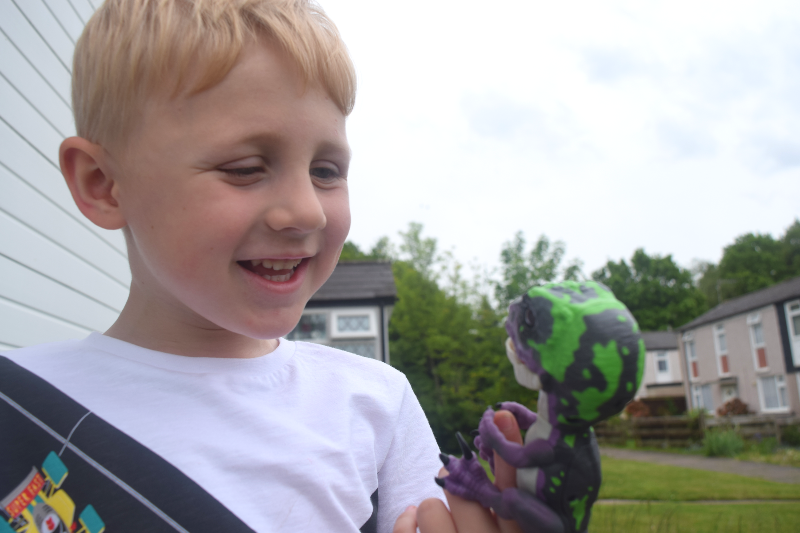 I am loving seeing the kids playing together with all of the Fingerlings creatures. They really are great fun interactive toys. There are no parts for them to lose by accident and they are all priced under £20. 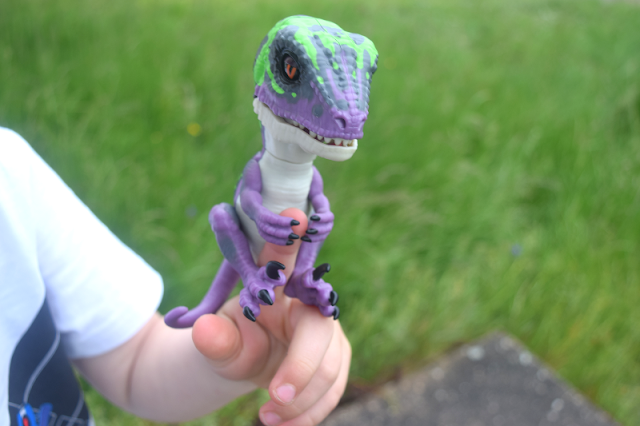 The untamed velociraptor is available to buy in Entertainer stores amongst other toy retailers.